Need Computer Repair in Miami? We fix all kinds of Apple computers and laptops. Complete disassembly and reassembly, glass and lcd screens, memory and upgrades to name a few. 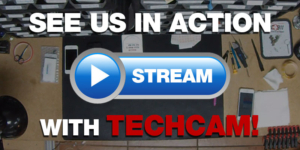 PC 911 is your one stop shop for all types of mac repairs in Miami! Windows is Great till it gets a Bug. Then it becomes a headache. With millions of lines of code, your computer operatinf system is very complex. trying to fix it yourself will often make matters worse. Let us take care of your Windows problems. 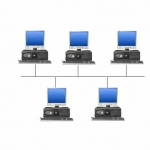 We will check your system files and restore operating system stability. Let us take a look at your Computer, Laptop, Desktop, iMac or MacBook and determine the what the problem is. 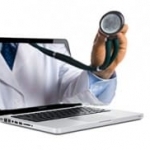 If necessary we will check hardware and software to determine failures, conflicts and malfunctions. Advise on solution options and provide a repair estimate. You don’t need an appointment. If you are using Windows, you know how frustrating and annoying Viruses, Malware and Pop-Ups can be. Everyday it seems to be getting worse instead of better. Even with a good anti-virus and internet security software computers still get infected on a regular basis. 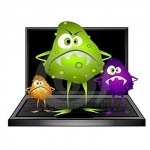 We can rid you of all theses pests and get your computer running like new. Our Expert Tech Team will remove all viruses, spyware, malware and root kits in your computer. Repair any operating issues (boot issues, blue screens, etc) Perform critical updates and apply system tweaks and adjustment. Sometimes it is best to start from scratch with a fresh Windows installation. Our Expert Tech Team will take of it . 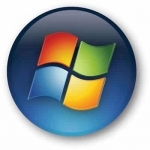 We will install your Windows operating system complete with all updates , drivers and additional programs for optimal functionality. Got a bad key or two? 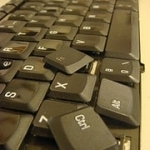 Don’t buy a new laptop, we fix and replace keyboards for less than you think. Most typical keyboards can be replaced for far less than replacing you computer. Bring you laptop in and we will give you an estimate on the spot. 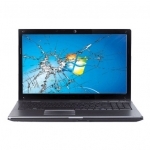 Laptop screen replacements are one of our most common repairs. We can replace you netbook or laptop screen fast and affordable. Before you go buy a new laptop let us take a look at it and give you a free estimate. You powered on your computer and “Nothing Happens” Dead Motherboard? Maybe but not always. There may be other reasons why your computer seems dead and is not powering up. Let us inpect your laptop or desktop to determine the cause of the problem. If it is the motherboard, don’t worry we repair & replace laptop and desktop motherboards. We will give you choices and recommendations for the best repair option.